GTA 5 New Weekly Update Out Now but this time Rockstar doesn't introduce any new modes or vehicles . This New Update all about of bonuses and discounts ,which are available now in GTA online on PS4 ,Xbox One and PC . 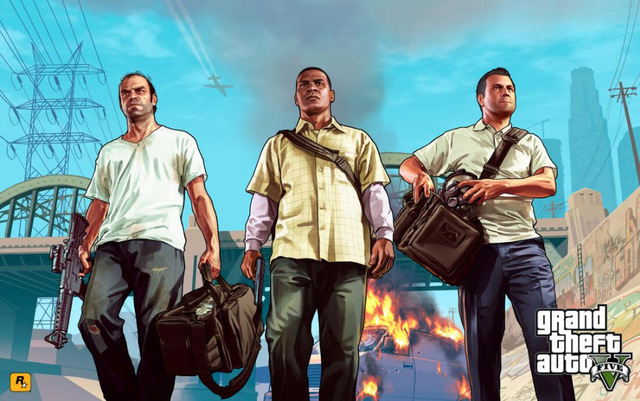 Players have a variety of options for racking up GTA$ and XP this week . First ,Smuggler's Run sell missions are offering double the normal amount of each through 30 April . Stockpile and the two newest modes in GTA Online ,The Vespucci Job and Hotring Circuit are likewise offering double payouts for limited time . The Premium Race in GTA Online this week is Surf and Turf ,which is locked to the Blazer Aqua . Everyone who participates will earn triple RP ,regardless of where they place in the race ,while those who finish in the top there will take home a GTA$ prize .This week's Time Trial is End to End .players who manage to beat the target time will be rewarded with GTA$ and RP .